Join the discussion and help shape the future of Kalamazoo! City officials and staff will consider all input submitted in their decision-making process.  Subscribe to updates from the City of Kalamazoo, and you'll get emails announcing new topics and the outcome of existing topics. This topic has 240 visitors and 181 responses. That's 9.1 hours of public comment @ 3 minutes per response. The deadline for participation is 11:59 PM on April 19, 2019. This topic has 185 visitors and 52 responses. That's 2.6 hours of public comment @ 3 minutes per response. No deadline for participation is currently set. Help us define what a complete neighborhood is for Kalamazoo! This topic has 141 visitors and 21 responses. That's 1.1 hours of public comment @ 3 minutes per response. No deadline for participation is currently set.